Description: Fennel is native to the Mediterranean region, but has become naturalized around the world. Today, the United States, France, India, and Russia are the leading cultivators of Fennel in the world. Fennel’s taste has often been compared to that of licorice and anise, while its texture can be compared to celery’s crunch. Fennel is composed of white or pale green bulbs; with stalks that have feathery green leaves that produce the seeds of the fennel. Kitchen Pharmacy: Fennel contains anethole, which is known for its antifungal, antibacterial, anti-inflammatory, and anticarcinogenic properties. 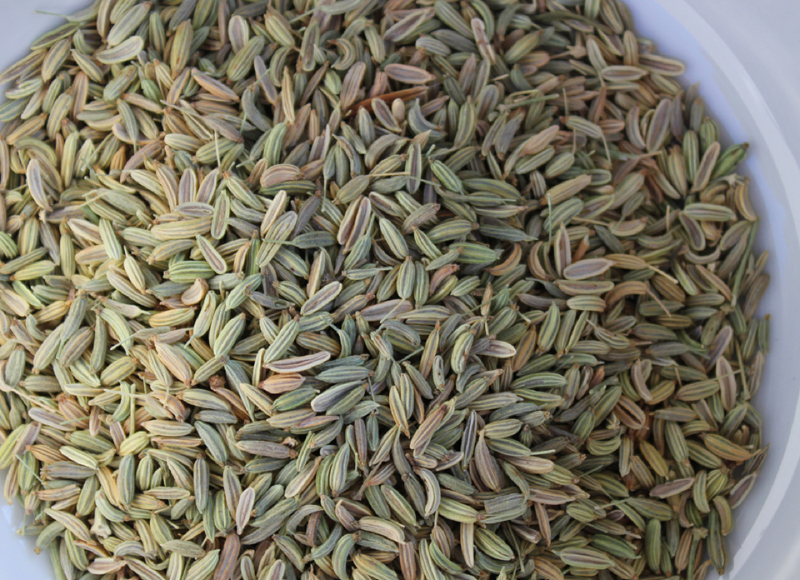 In addition, Fennel contains potassium, fiber, folic acid, copper, iron, zinc, calcium, magnesium, manganese, vitamin A, and vitamin C. Fennel is also low on calories, had no cholesterol, is an antioxidant, and can be used to treat bronchitis, eye inflammation, diarrhea, indigestion, anemia, constipation, and colic.